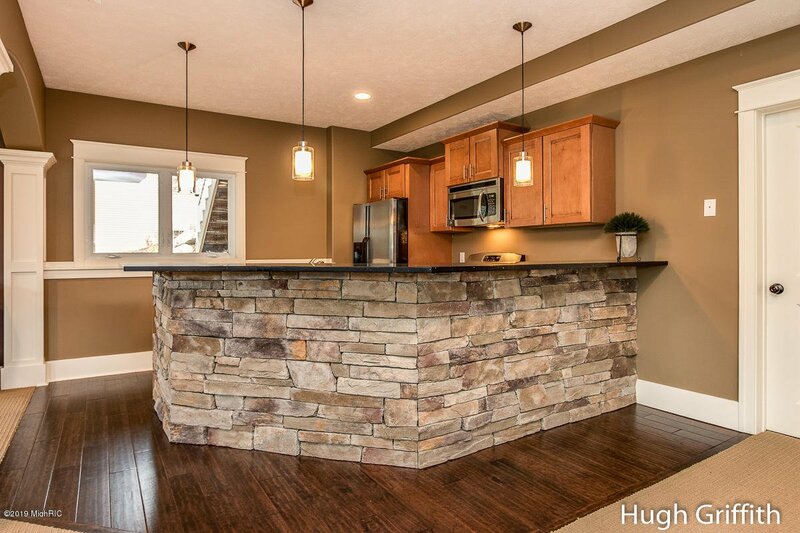 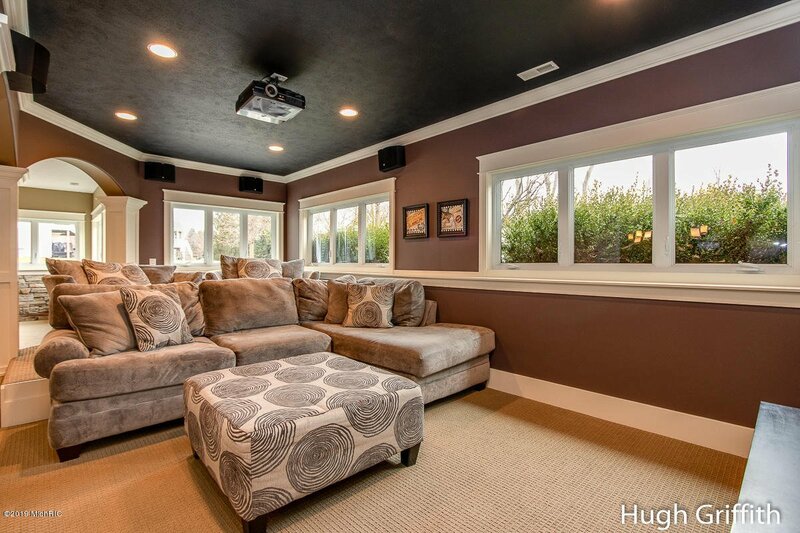 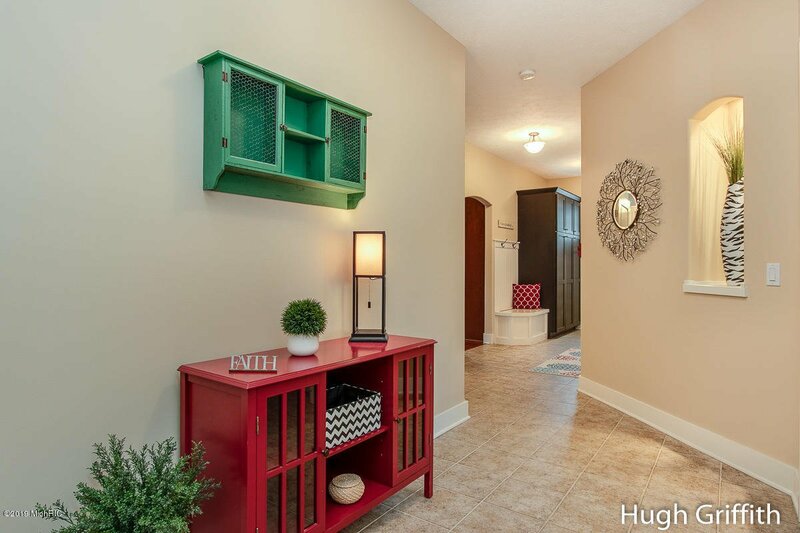 This former Parade Home shows like a new ''SHINY PENNY'' in every respect..top-to-bottom. 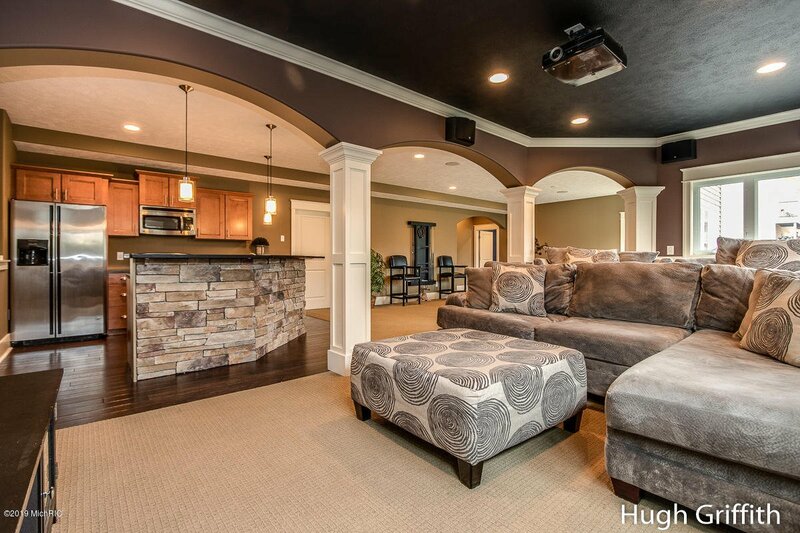 Winner of best exterior, best kitchen and best owner's suite. 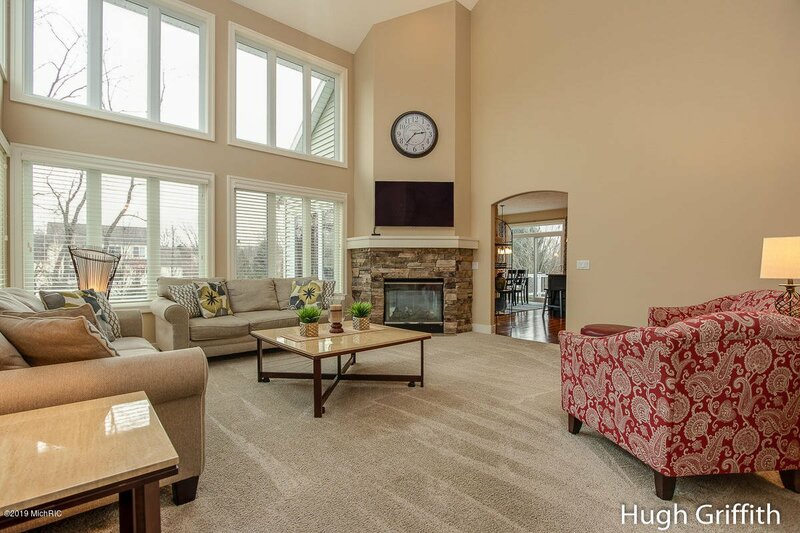 With more than 4100 finished square feet, it includes 5 bedrooms, 3 full and 1 half bathrooms. 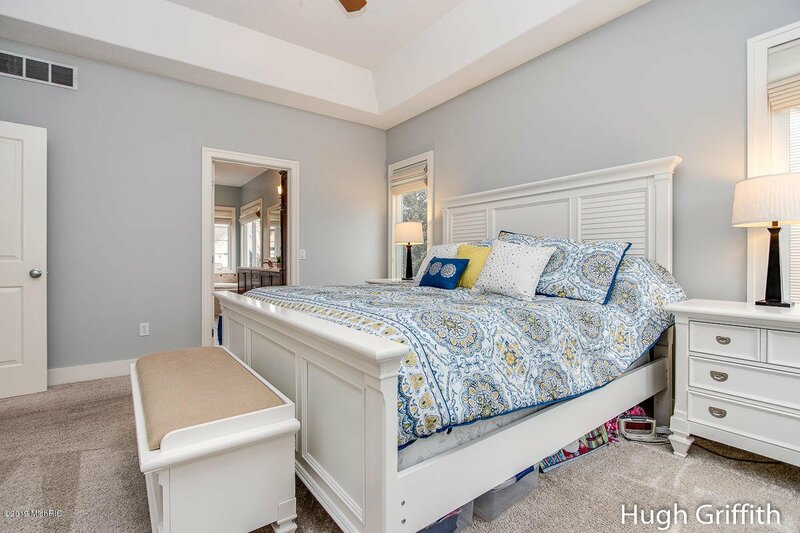 A main floor owner's suite and multiple living and eating areas on the main make this floor plan conducive for today's busy family. 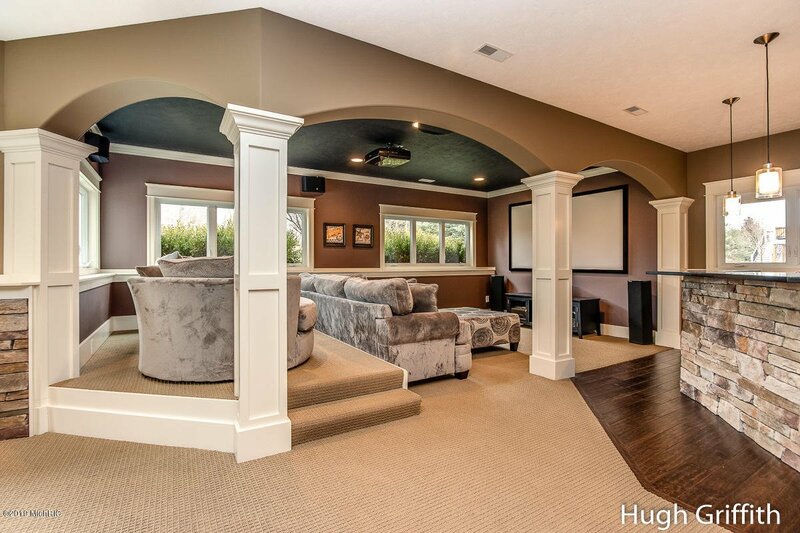 This beautifully designed home is built without compromise in both materials and craftsmanship. 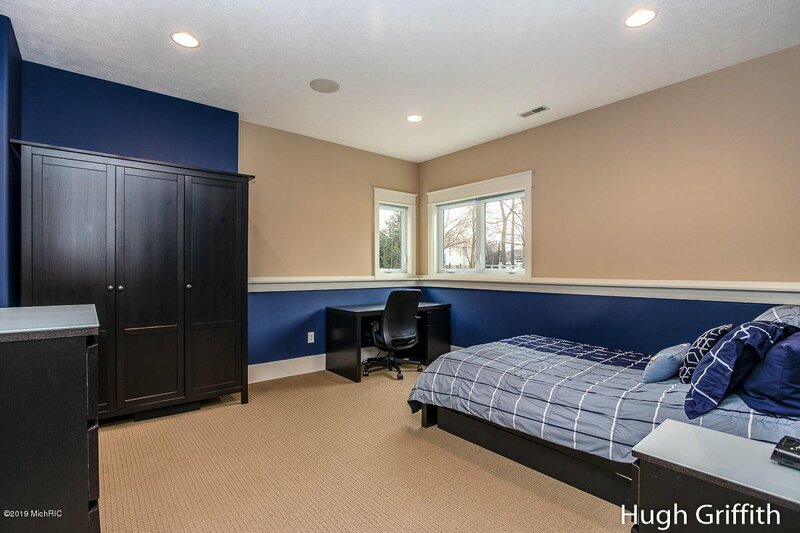 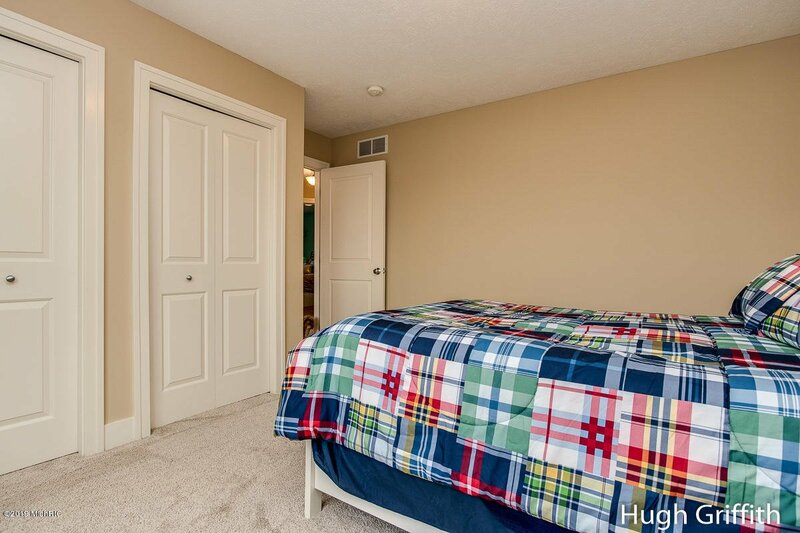 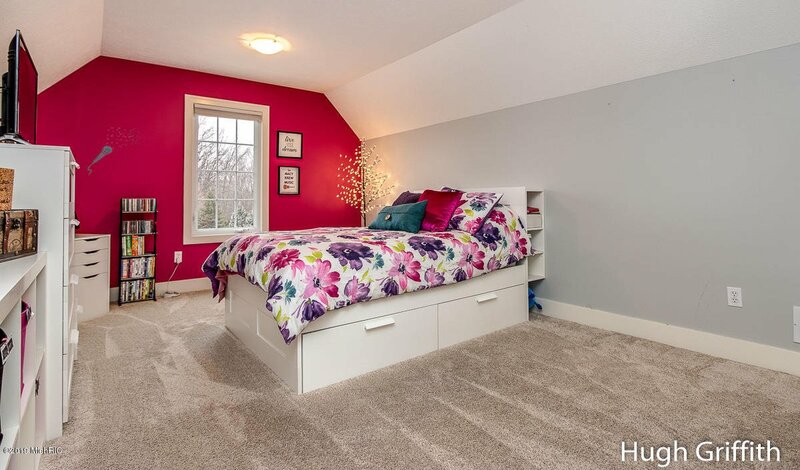 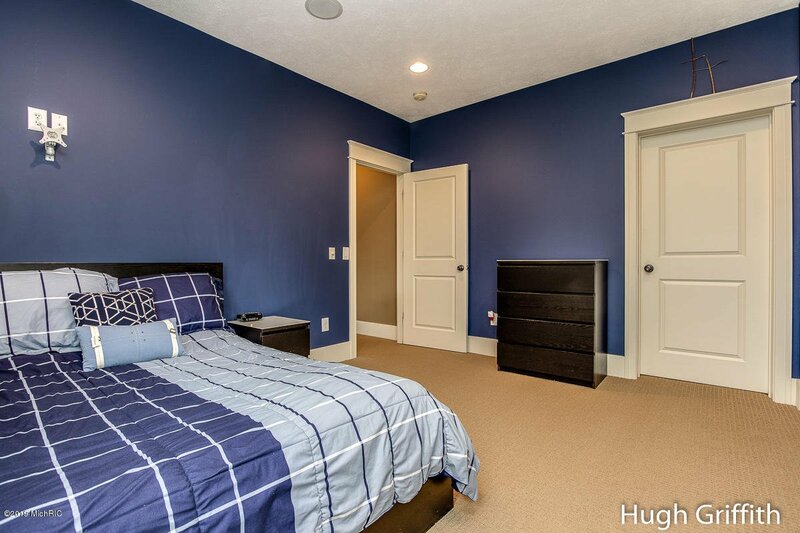 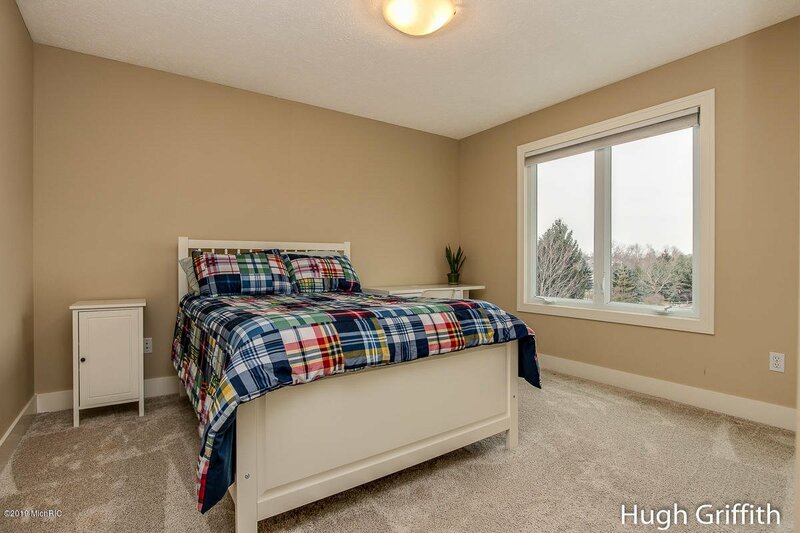 The upper level includes three well-proportioned bedrooms, full bathroom and a playroom/study area. 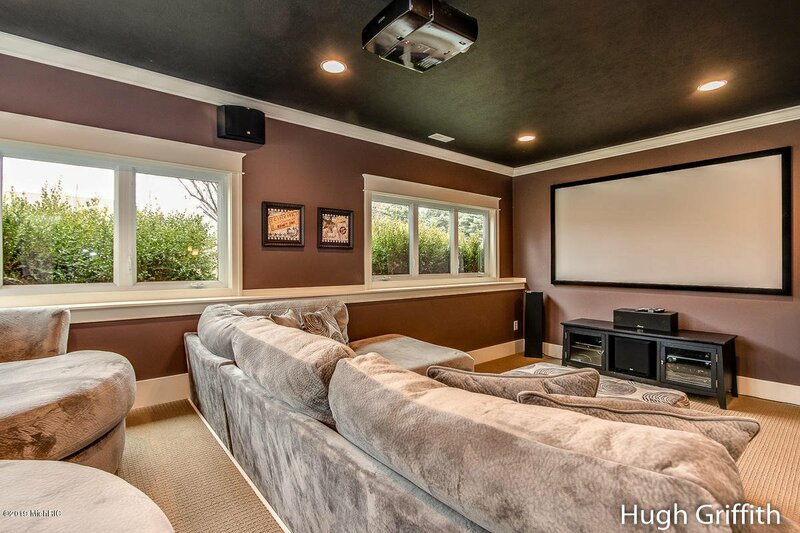 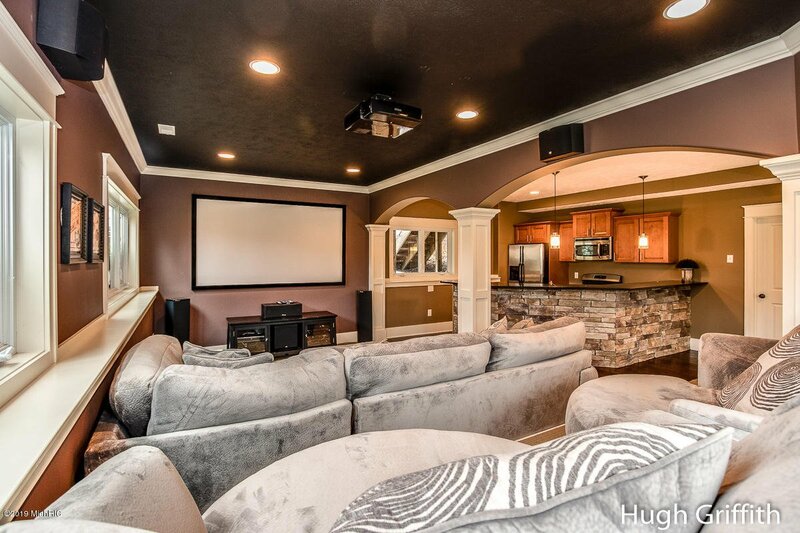 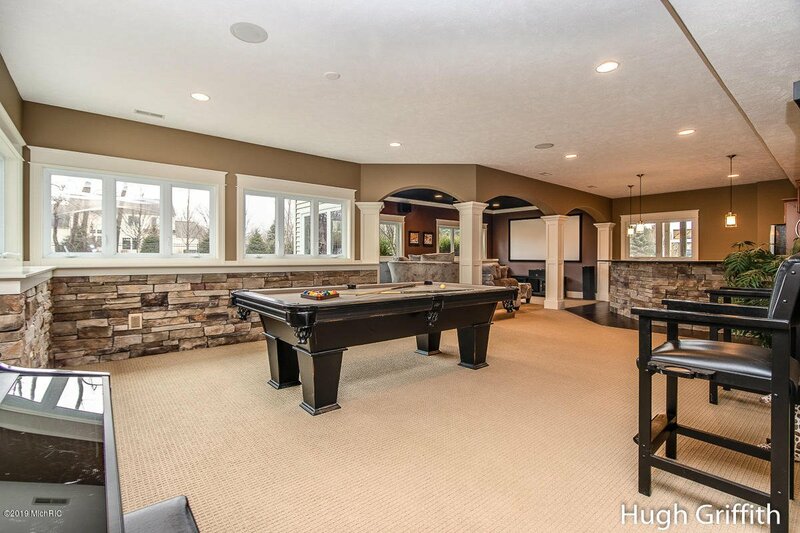 The daylight lower has a second full kitchen, theater room, game area, bedroom, bathroom and ample storage. 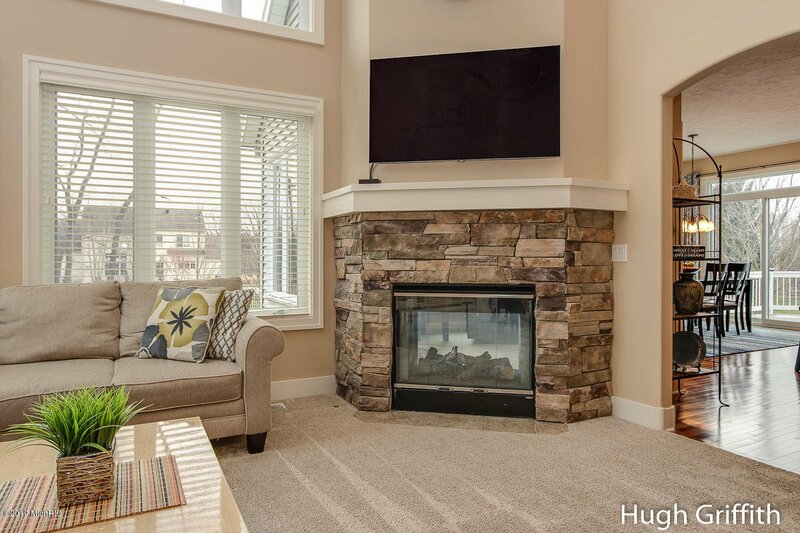 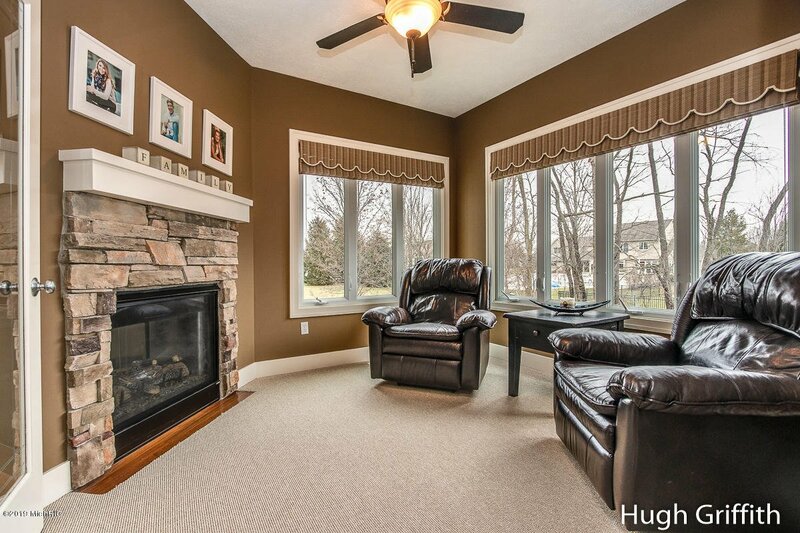 There is a dual fireplace on the wall that divides the 4-Season and Great rooms. 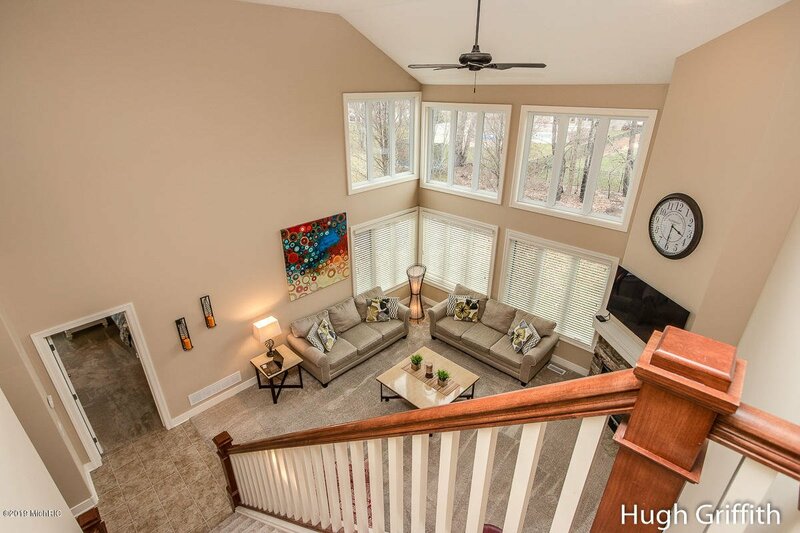 The 2-story Great Room has floor-to ceiling windows on two walls, filling the house with a huge amount of natural light. There's a chef's kitchen with all the amenities that you would expect, including hardwood floors, granite surfaces and beautiful cherry cabinetry. 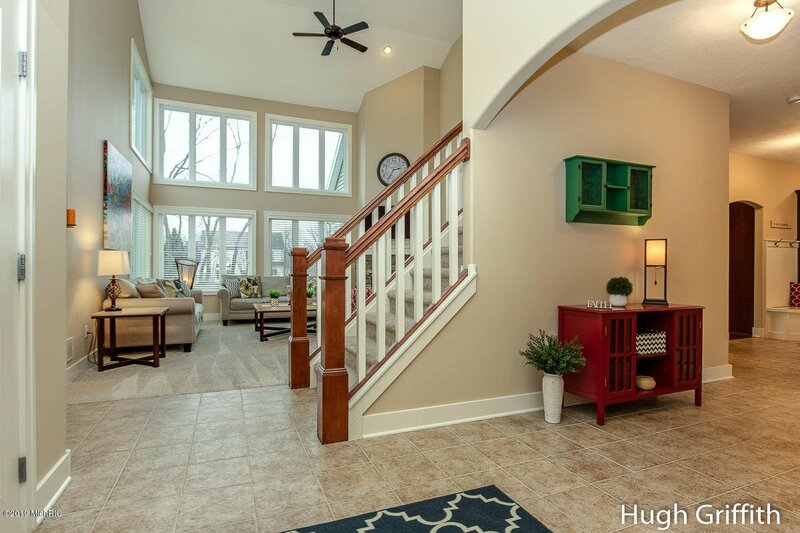 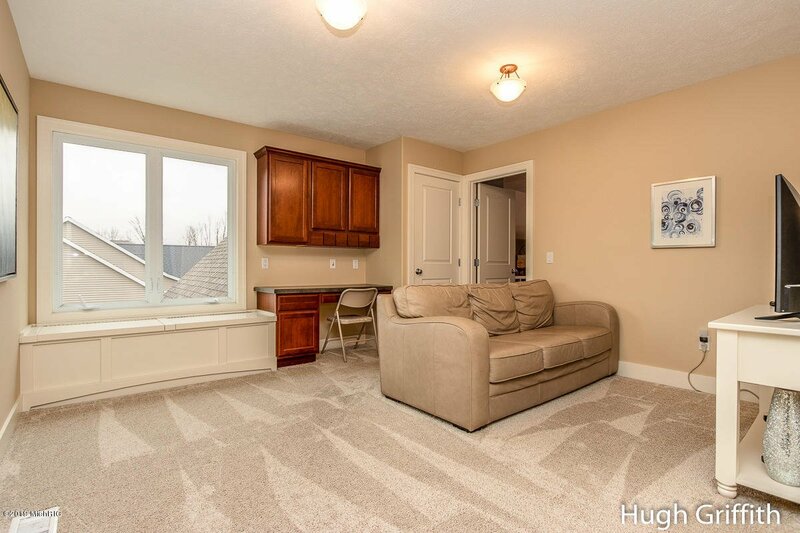 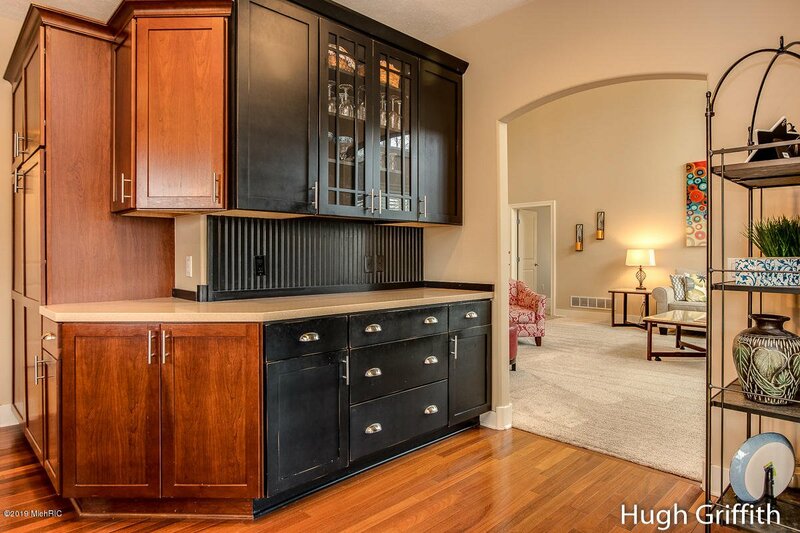 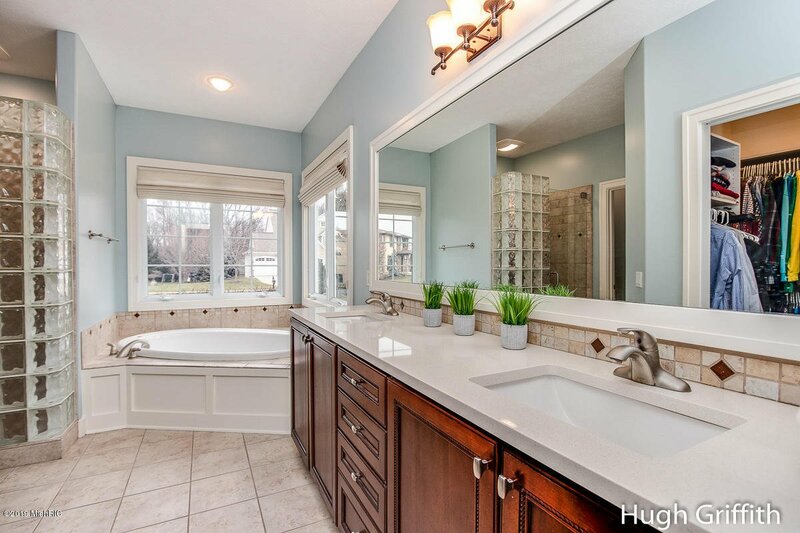 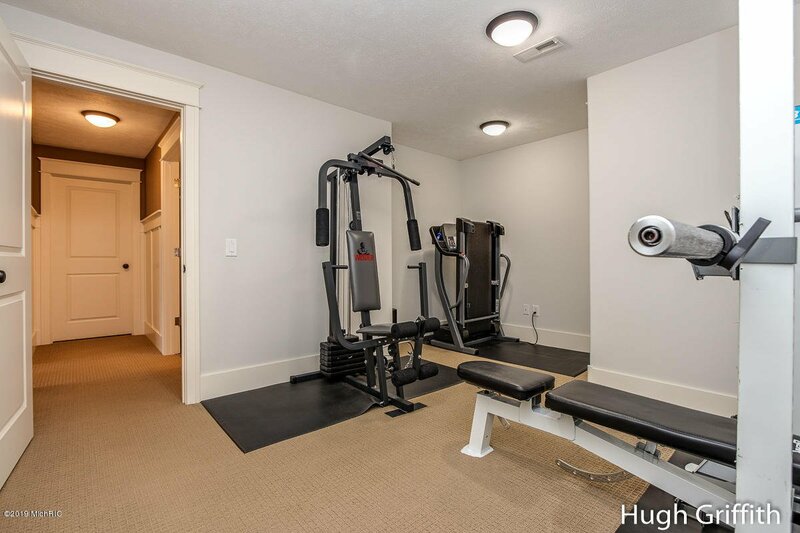 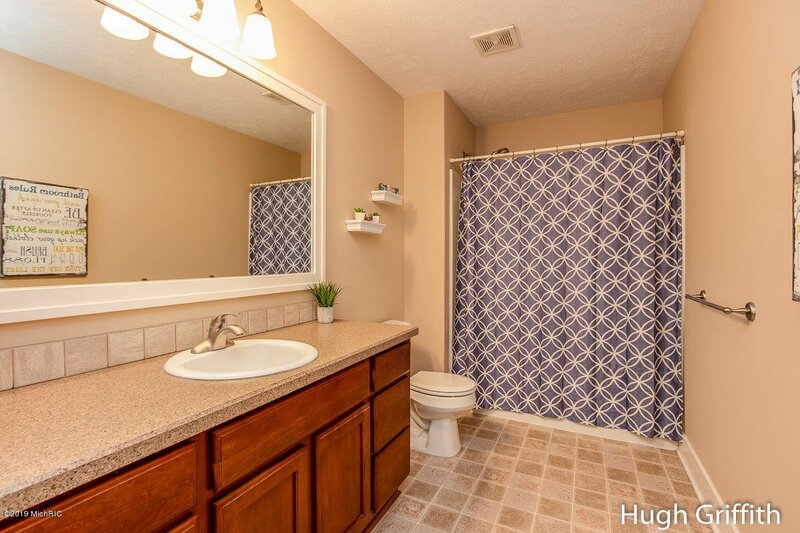 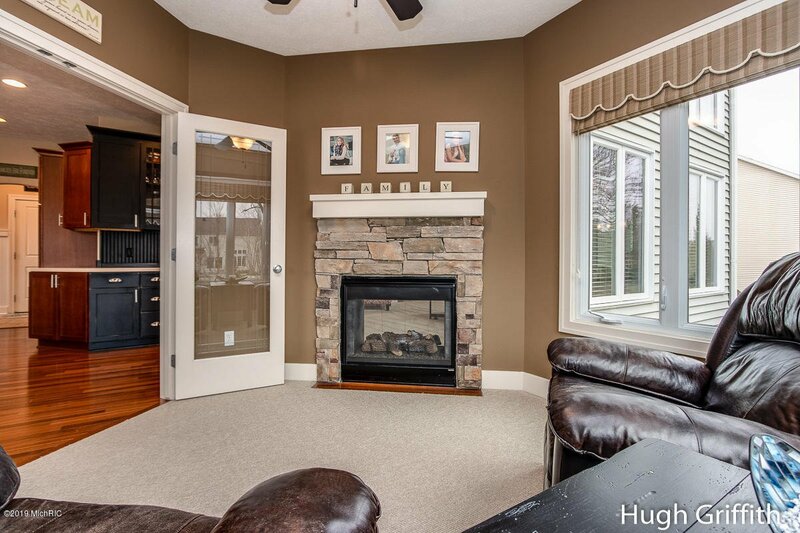 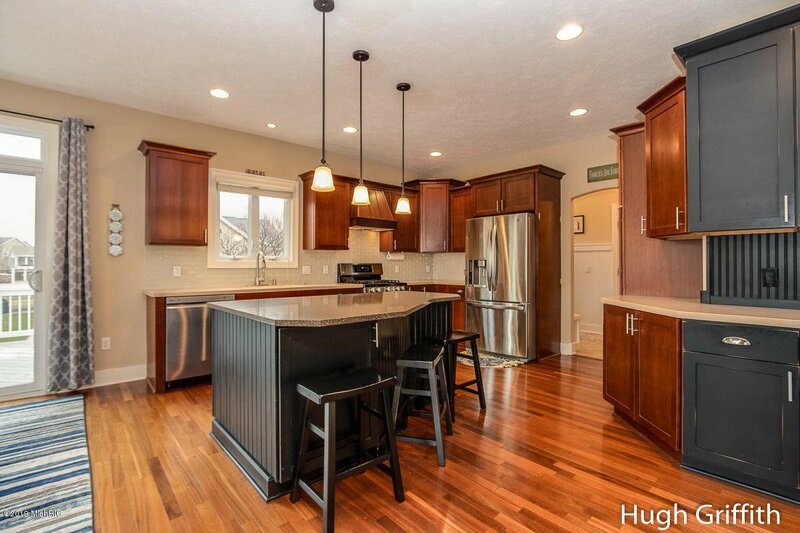 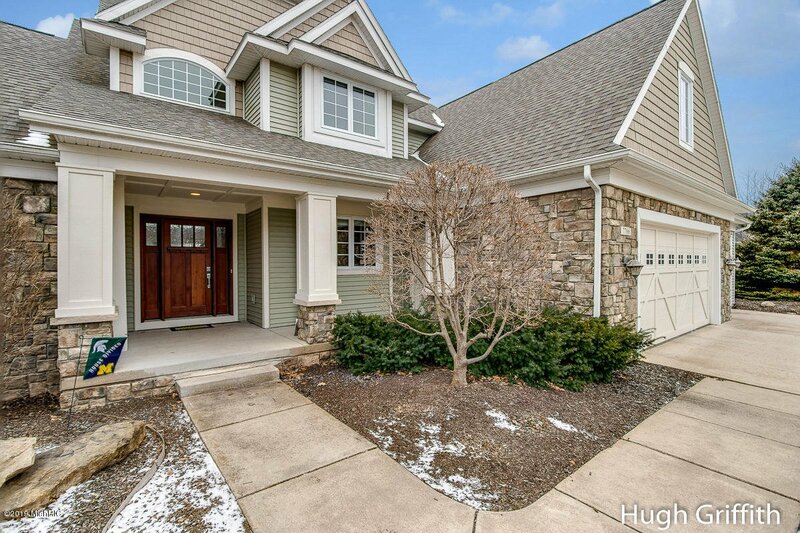 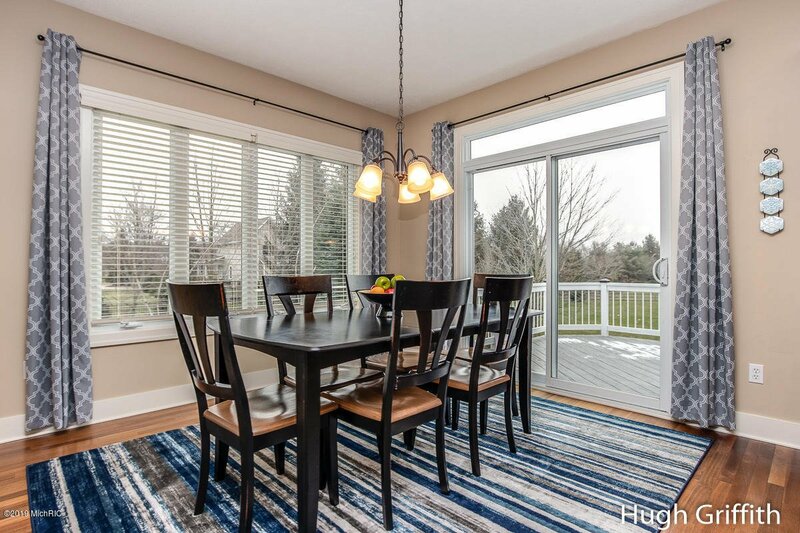 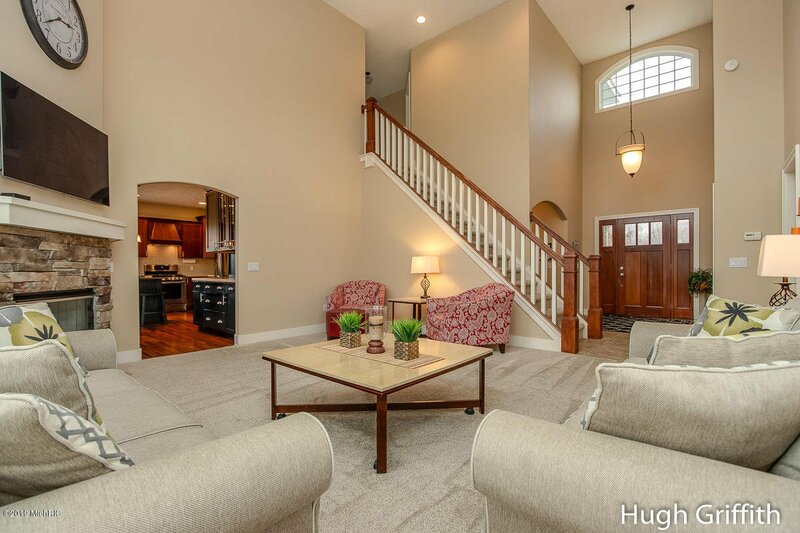 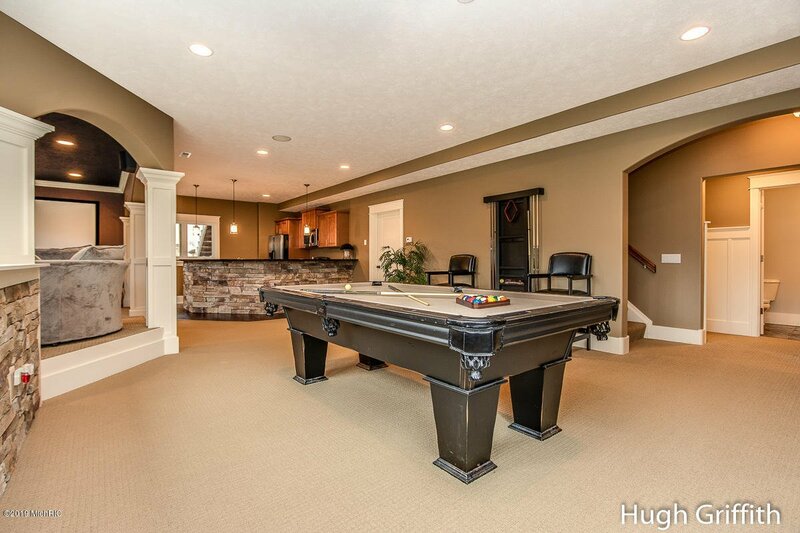 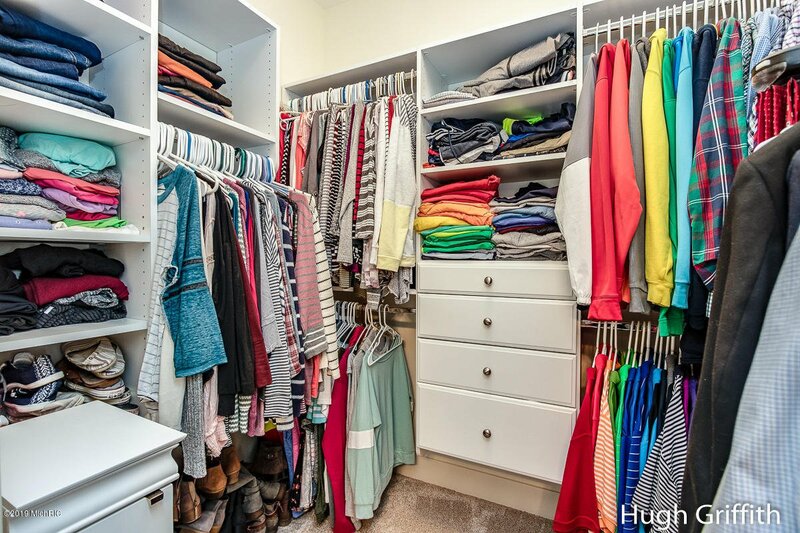 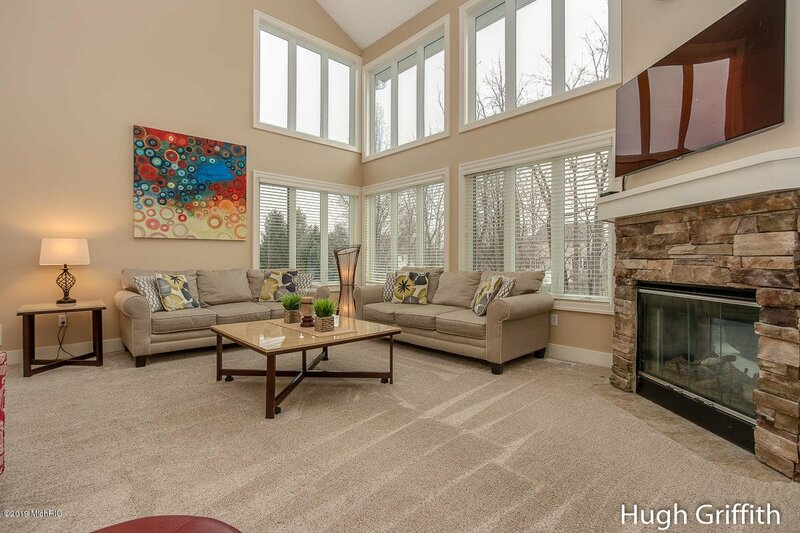 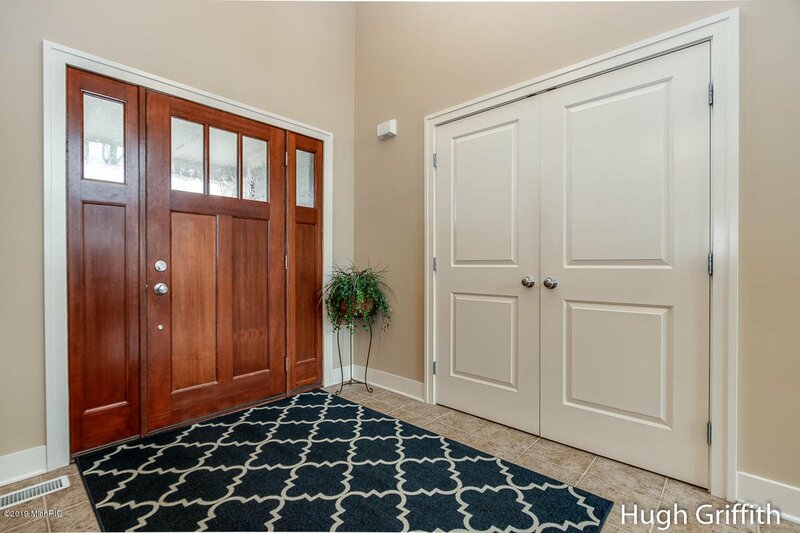 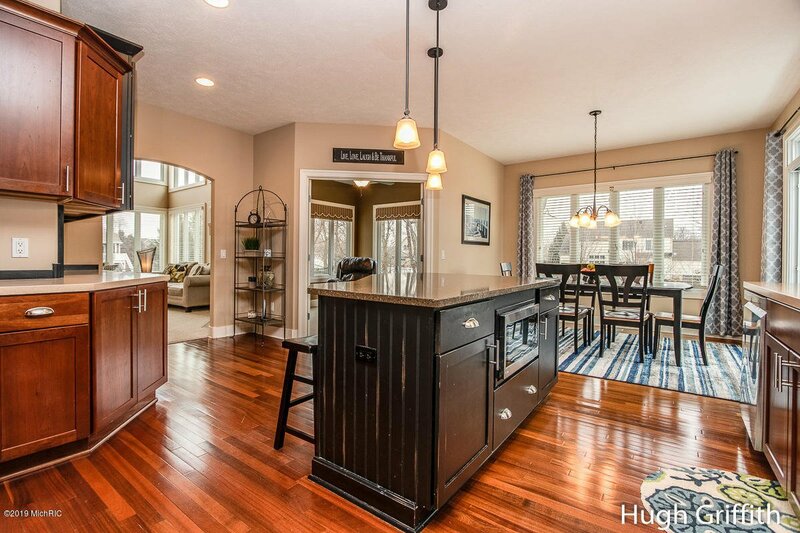 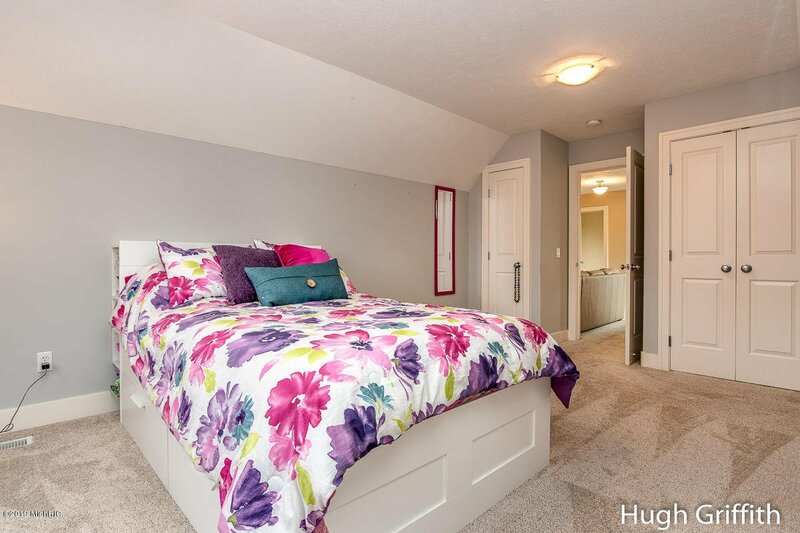 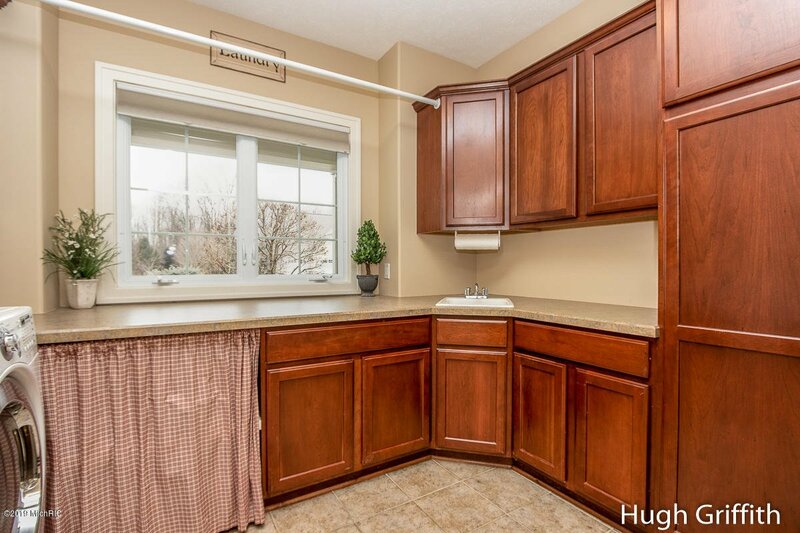 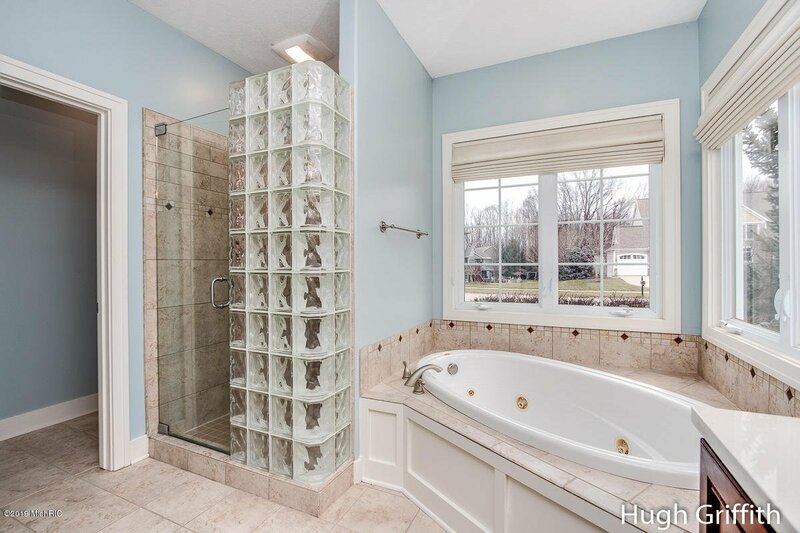 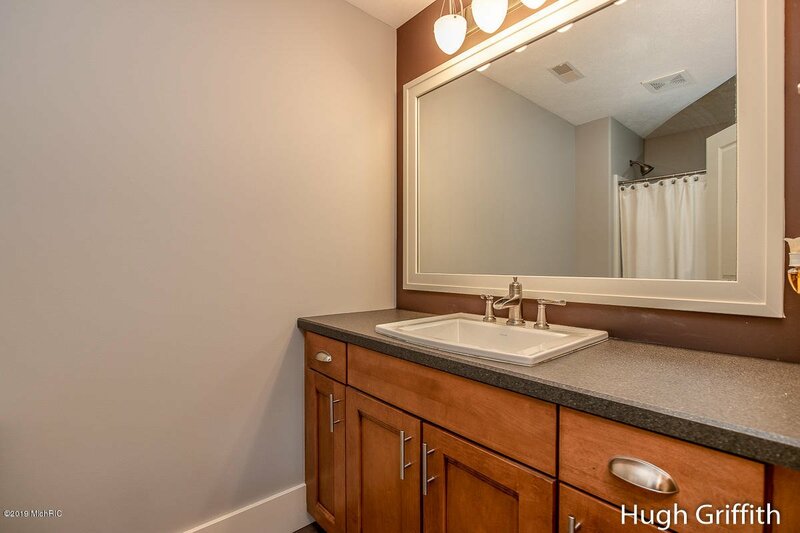 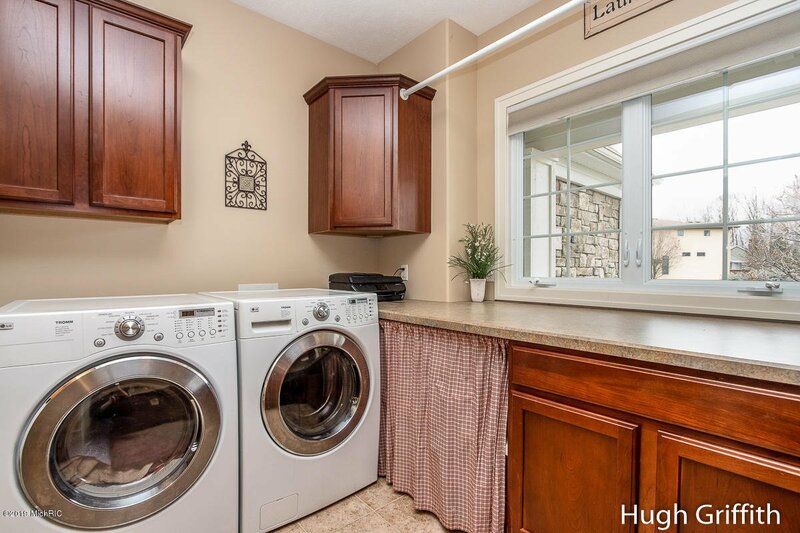 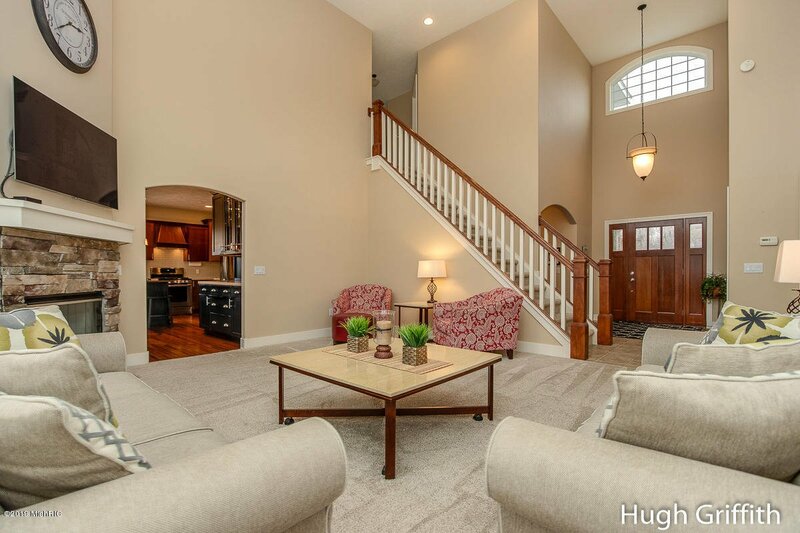 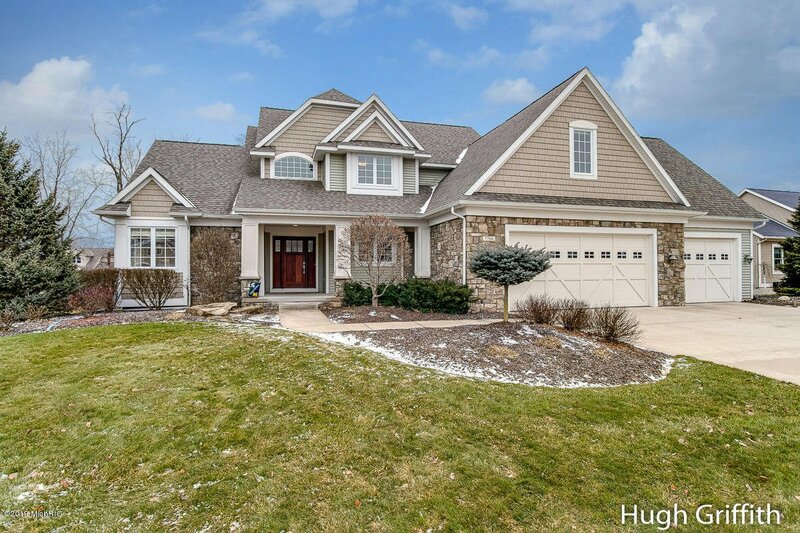 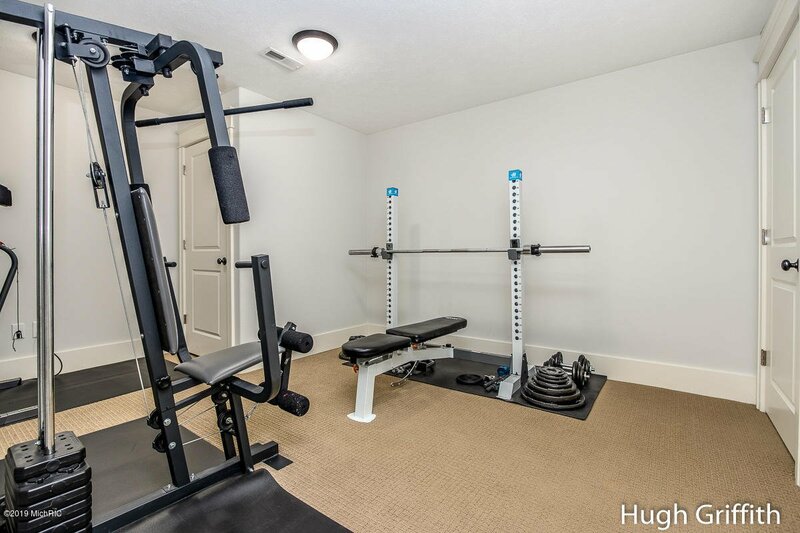 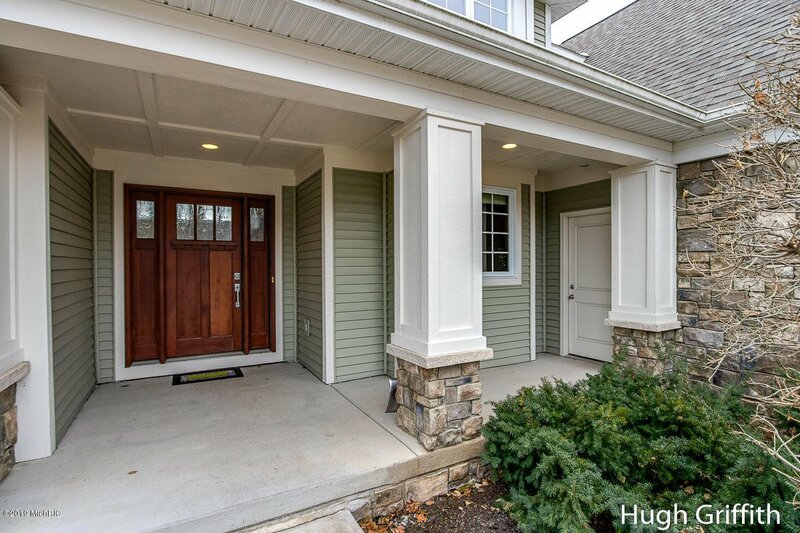 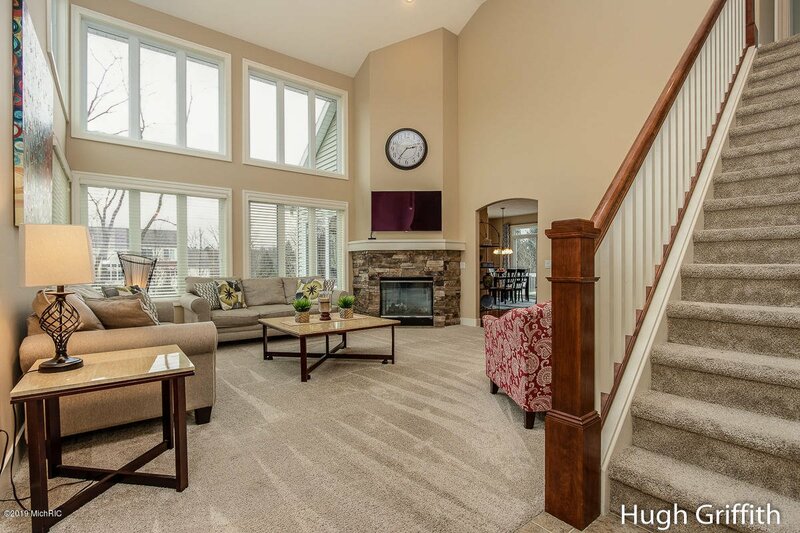 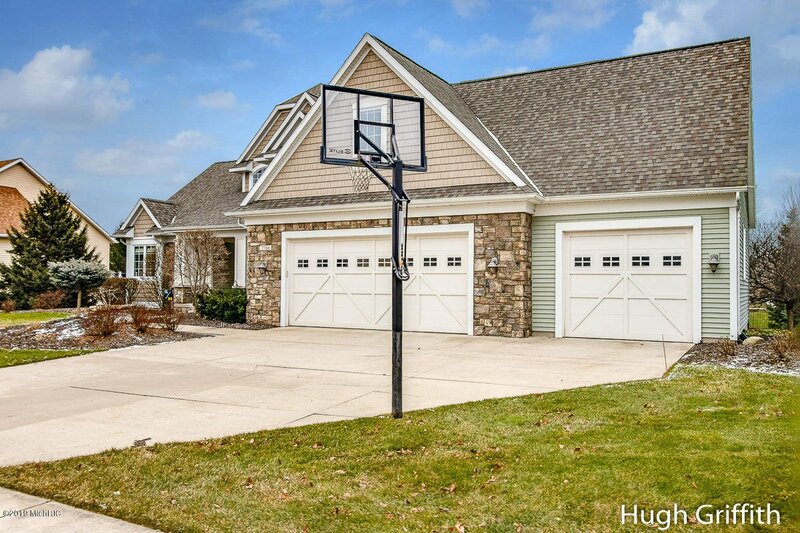 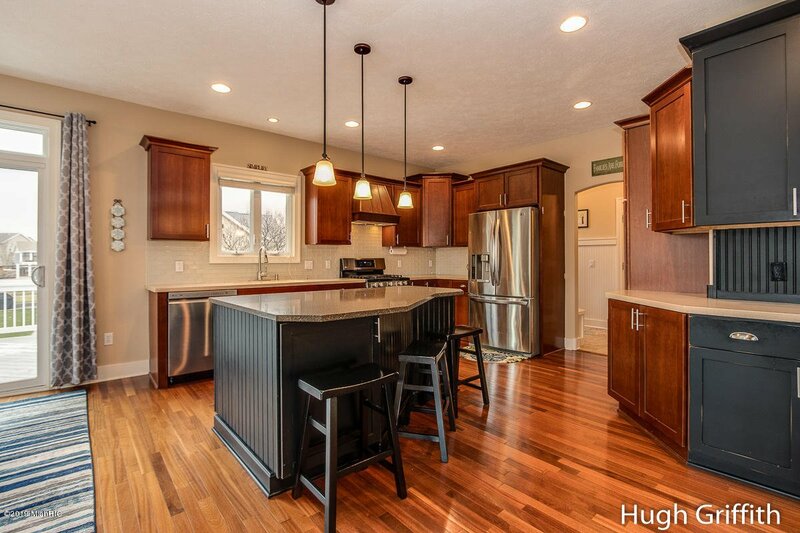 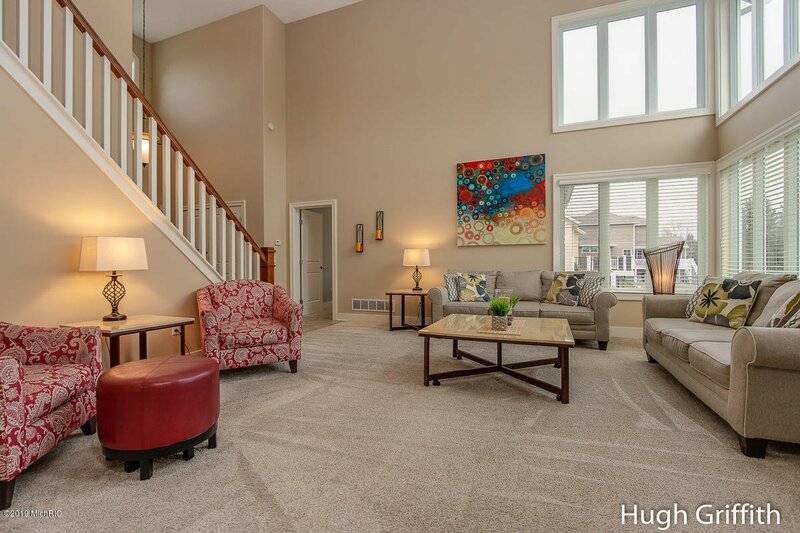 A graciously sized foyer, laundry room, half bath and mudroom complete the main level. 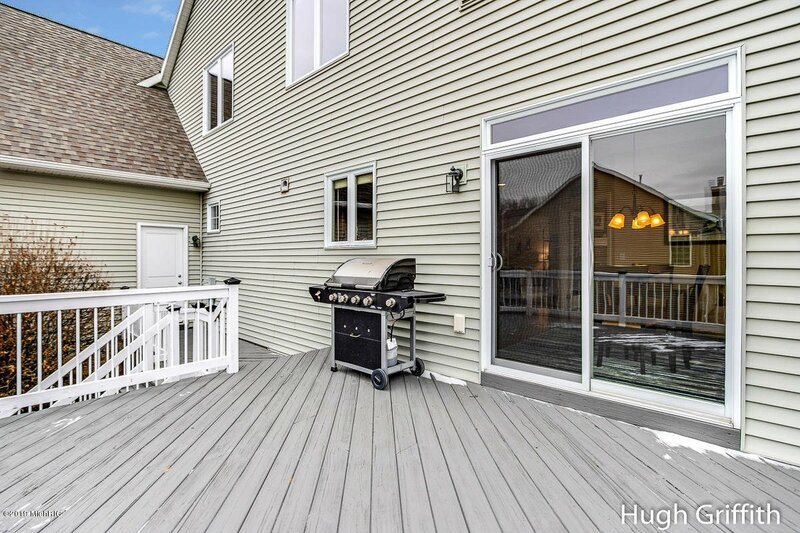 Sliders from the dining area open to an expansive deck with steps that walk down to the backyard. 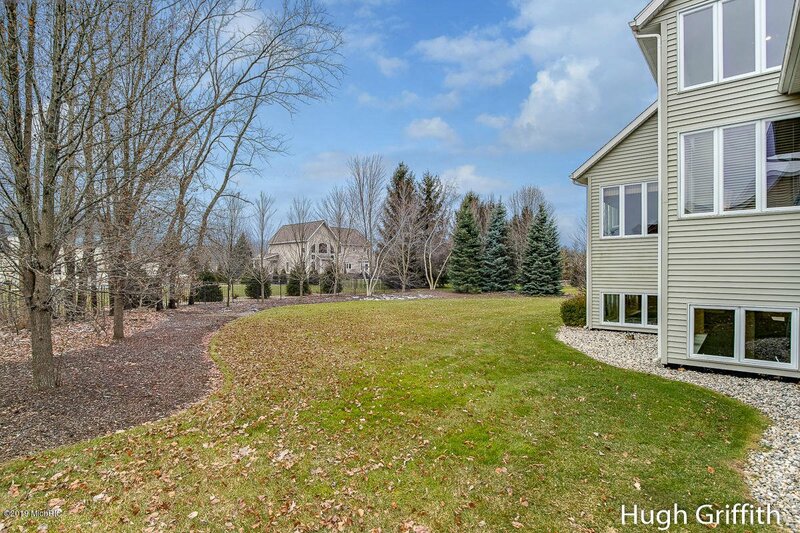 The house is built on a beautiful lot with well-manicured landscaping. 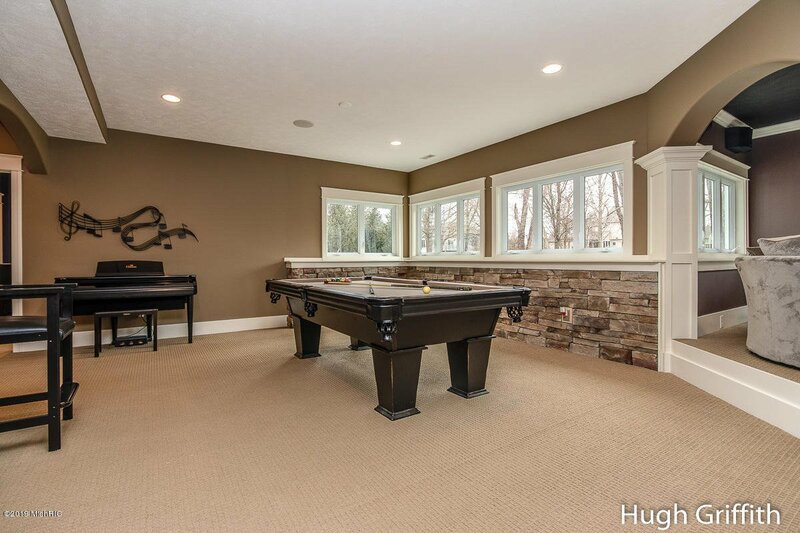 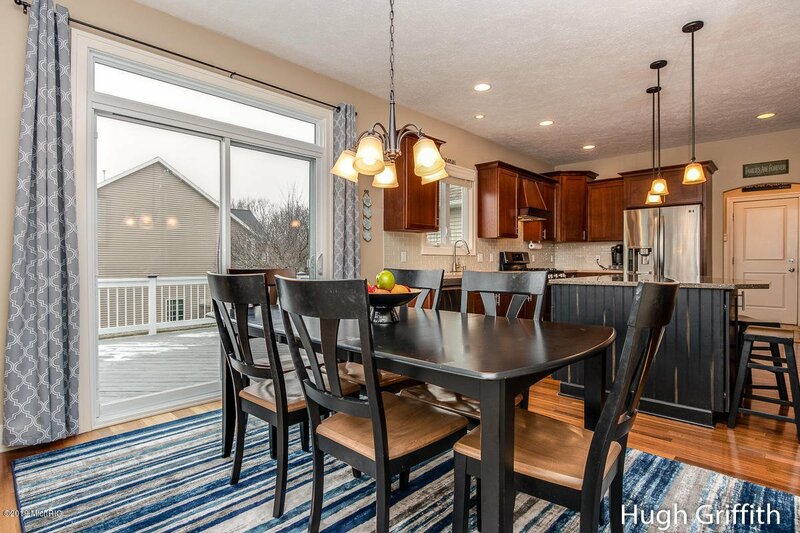 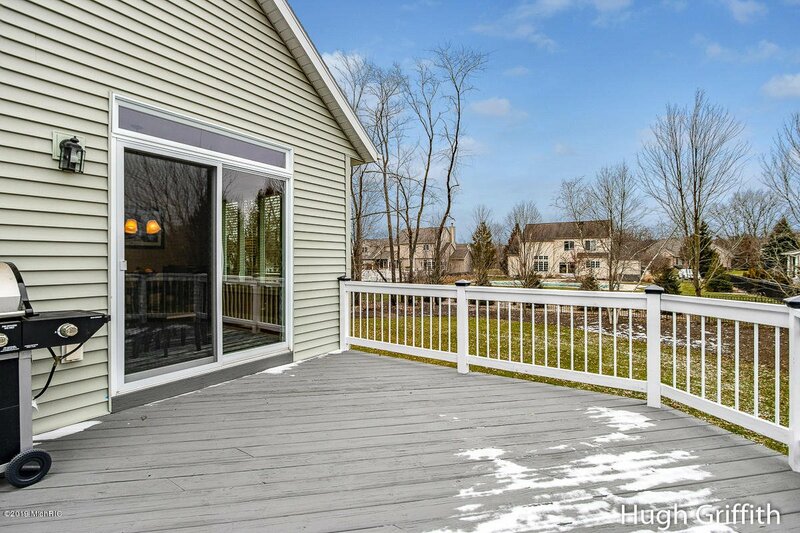 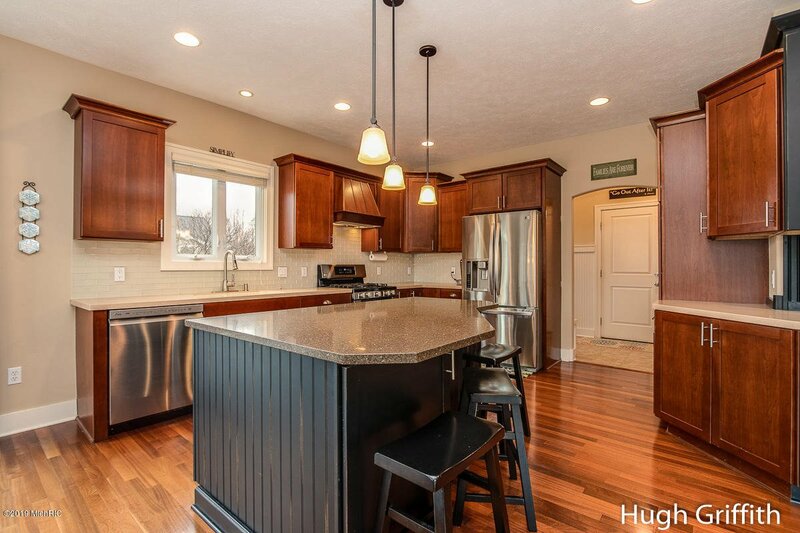 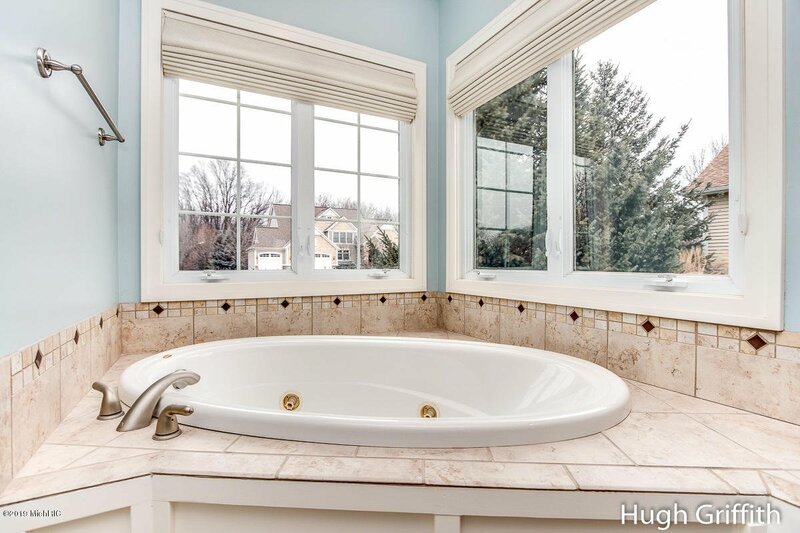 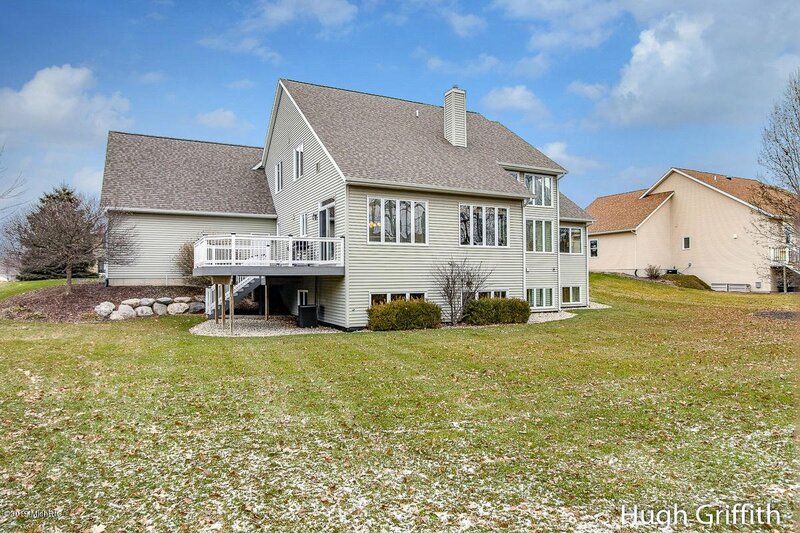 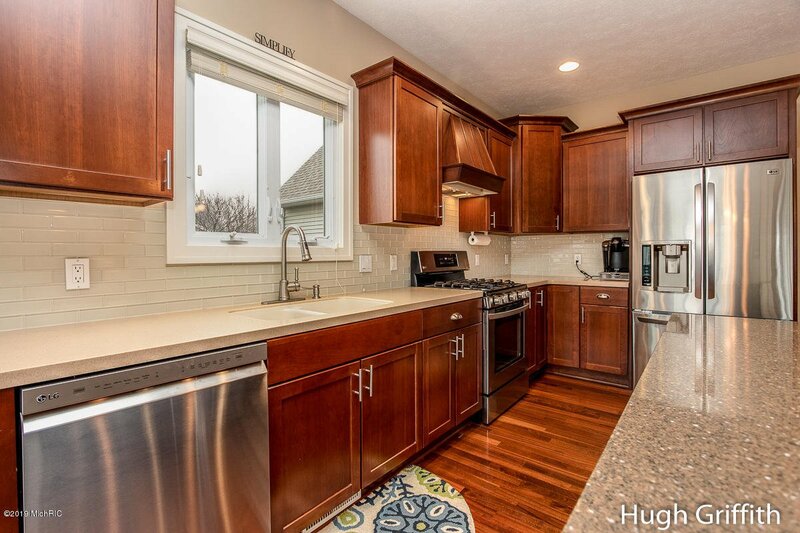 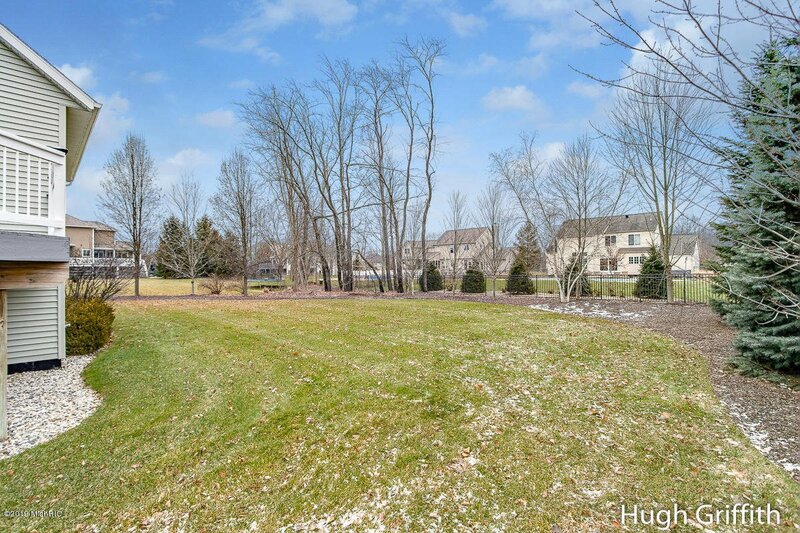 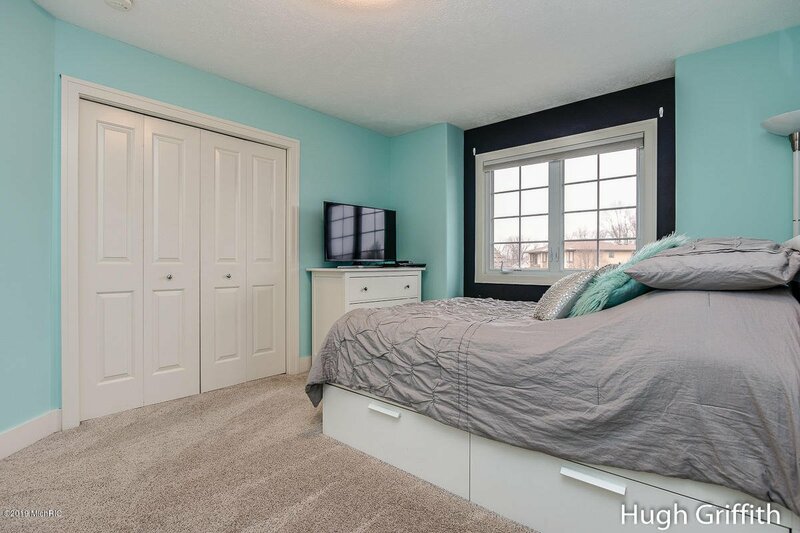 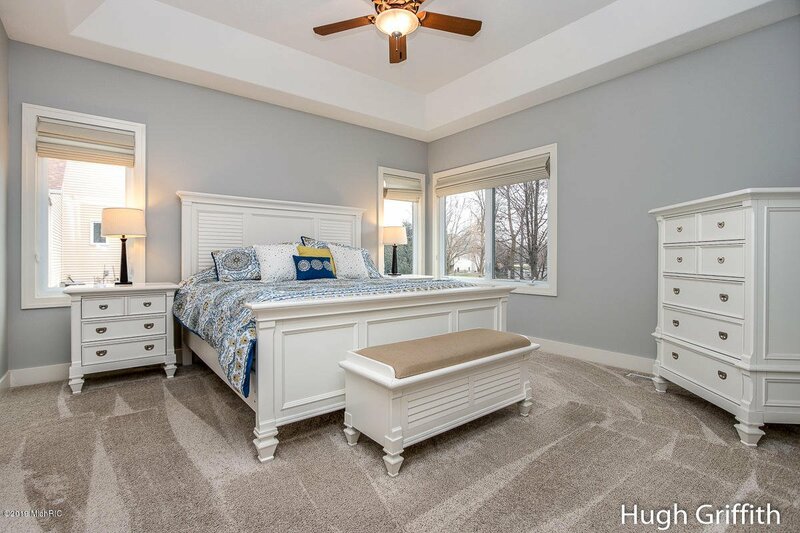 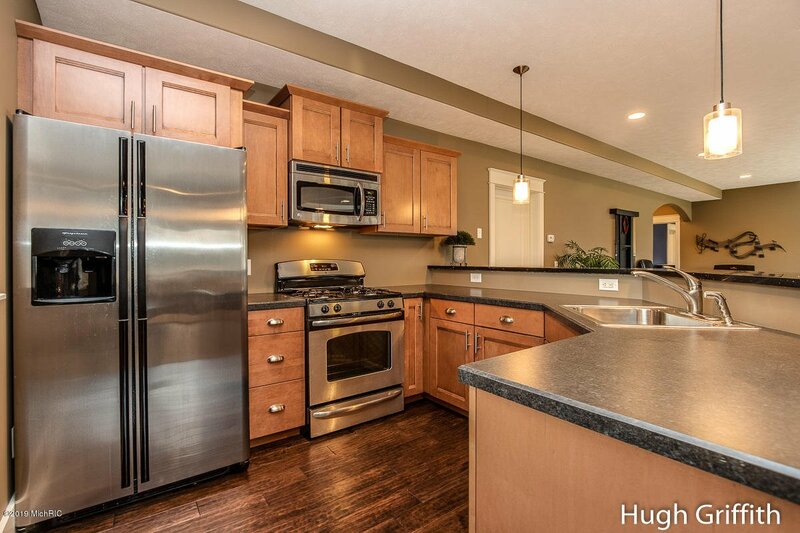 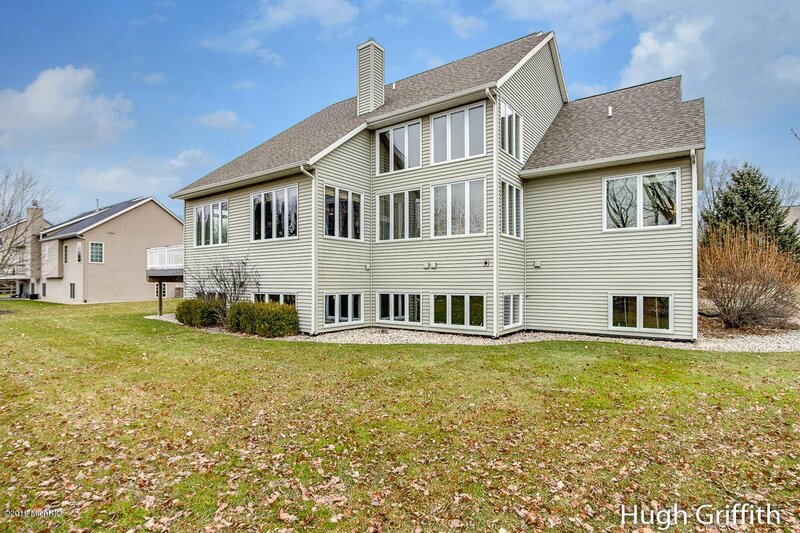 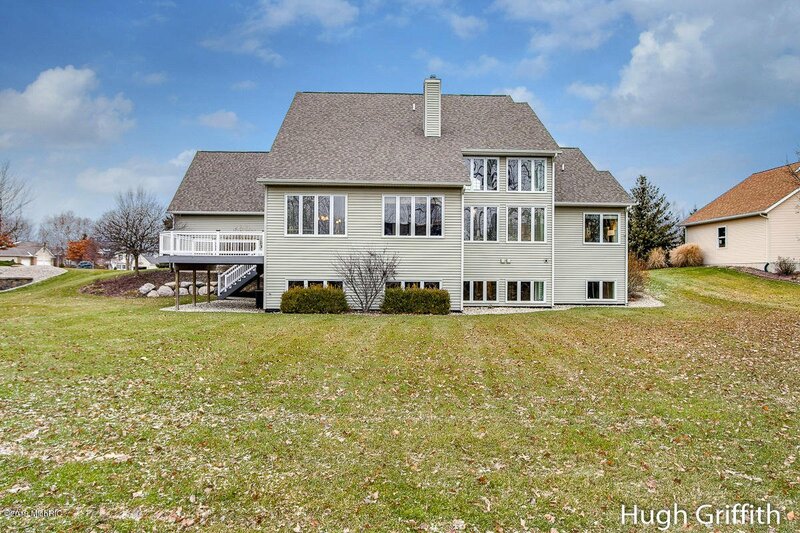 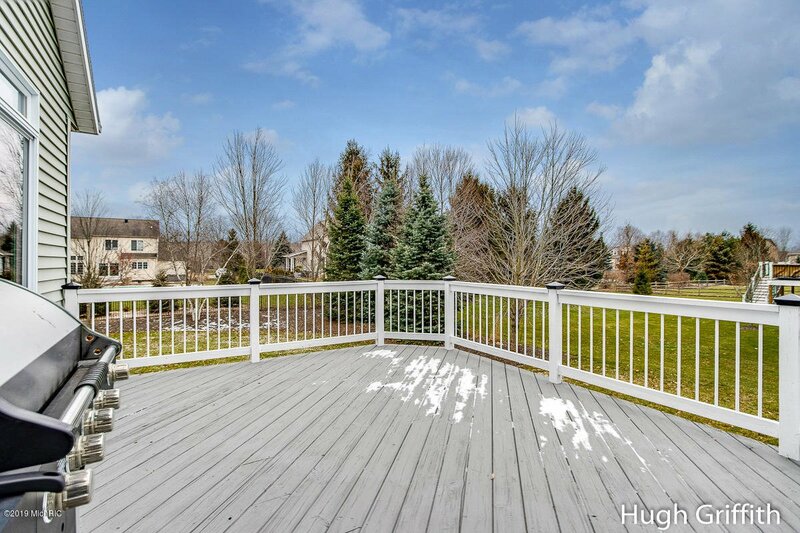 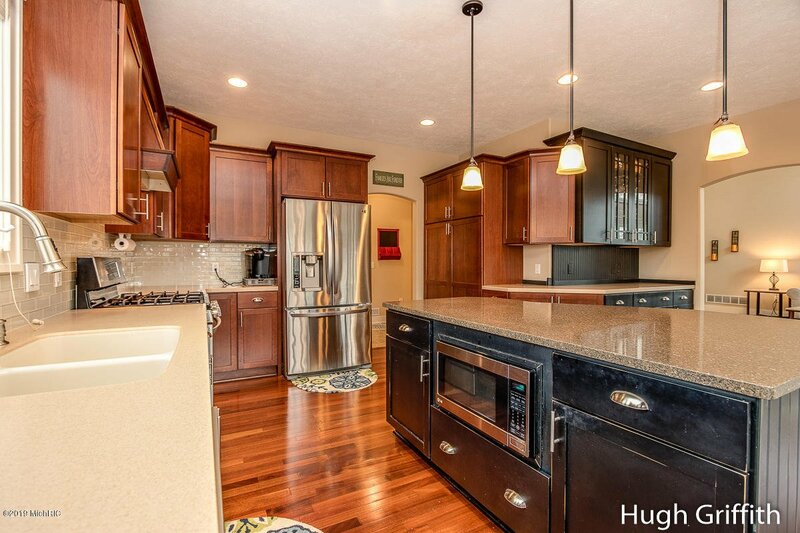 Located in Byron Center School District, close proximity to M6 and all areas of the city within minutes. 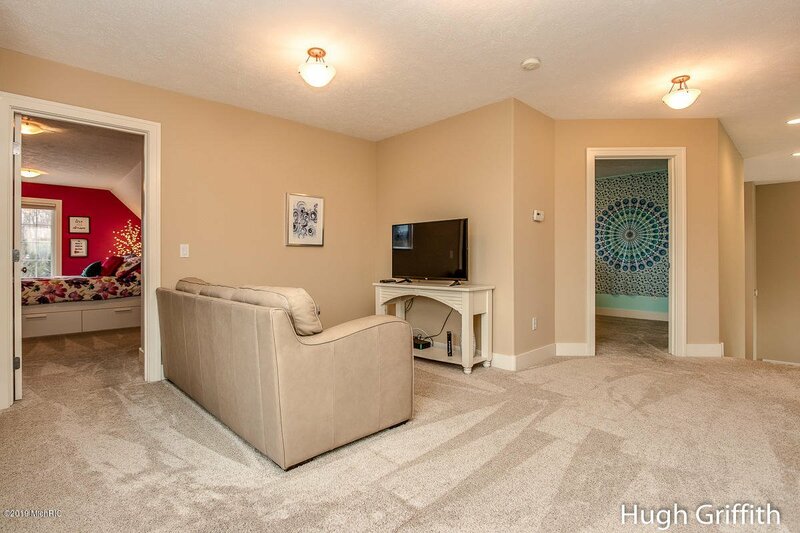 If you're expecting the best, you won't be disappointed.